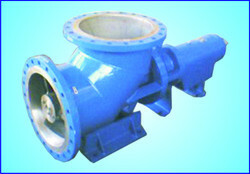 Our range of products include seawater pumps. Seawater Pumps offered comes designed and developed as per defined industry standards and provide for lasting service performance. Made available in different operating configurations, the offered pump options can be used for marine water and provide for long service life without failure. Some of its features include provide for high efficiency working support; have high savings on energy; suitable for use in freshwater/saltwater pools, water park, and other areas; LCD display support for showing RPM, hour counter and wattage; coming tested before delivery for smooth performance.